her to one day remarry in the eyes of God. reason to even question it myself. shaped the gay man I am today – one who has found true monogamous love. Hi J, thank you for agreeing to this interview. Tell us a little about yourself, your background, and your current book.1) What genre is your book and what drew you to this genre? 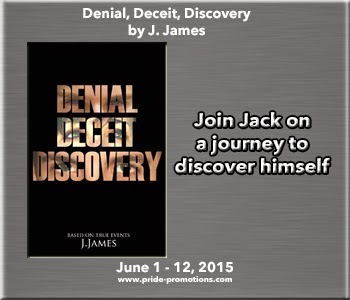 Denial Deceit Discovery is written in the style of a personal memoir or autobiography based on true events. It was because of my own personal struggles in dealing with my sexuality that I decided to share my story in an attempt to educate others and provide support to others in a similar situation. Autobiographies are also a genre I enjoy reading as I am fascinated by the lives of others. One of my favourite was the book called, ‘A child called It’ –which I found incredibly moving. Unfortunately writing is not my full time job. My day job is incredibly demanding so finding time to write is a real challenge. I never put myself under pressure to write as it is my hobby and passion and so I do it when I really feel inspired. Most of my writing is done during my holidays or whilst on long haul flights from my home in Thailand back to the UK. I probably spend a few hours each week either writing material for my blog or new material for my second book. 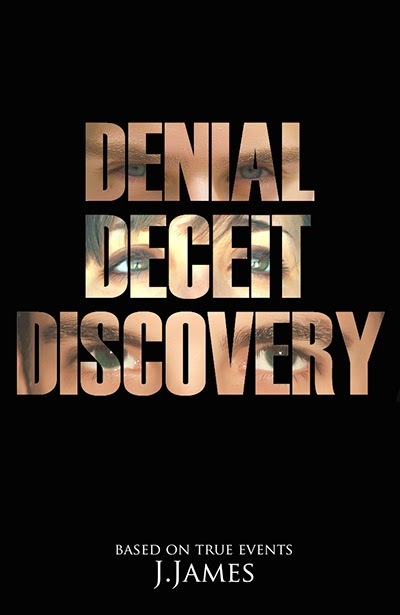 I wrote Denial Deceit Discovery in about 6 months and then spent 6 months editing and improving it. This book was easier to write because it was my own life story involving real characters so it did not involve much planning. The second book is taking me much longer because it is a different genre for me and it needs a lot more work at the planning stage. I am also trying to improve the quality of my writing and so taking more time to work on characterization and the art of showing rather than telling the reader. I would definitely be Christian Grey from 50 Shades. I think he is incredibly suave and handsome and so mysterious. I love his lifestyle and although I am gay I admire the frenzy this character has generated amongst the female population. Who would not want to have a similar impact on society haha. to anyone who has struggled to understand an aspect of his or her identity. develop the tools they’ll need to share their stories in the future. and women struggling with similar situations. helping to spare others from the heartache he and his loved ones experienced. opportunity to continue developing ideas for his second novel.